Sign up for our monthly Newsletter to recieve Recipes, Stories, & Special Discount Codes! Southern style watermelon rinds, pickled with a bread and buttter flavor. (16 ounces) This is a seasonal product and may not always be available. Copyright 2001 - 2019. All Rights Reserved. 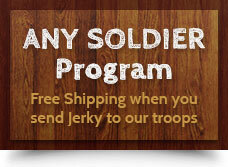 WHITTINGTON’S JERKY, INC.